Today we'll talk about a delicate — but very useful — subject, namely the firewalls that can help you avoid being yet another victim of the loudness war. In this installment we'll talk about plug-ins that allow you to visualize levels correctly — after all, whether you like it or not, mastering has become synonymous with volume, so it's a good idea to have quality tools to analyze what's going on in that respect. Following up on our series of articles dedicated to useful tools for mastering at home, this time we will focus on plug-ins that allow you to analyze the stereo image. The time has come to explore the territory of analyzers of all sorts, which will prove to be very helpful within the context of mastering at home. This week we will deal with the spectrum analyzer, a very useful tool! Now that we have covered the entire mastering chain, let's move on to different tools that are useful in the context of DIY — like headphones. 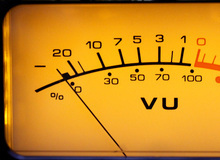 This week we will tackle a landmark in the mastering chain — the limiter. Before moving on to the next processor in the mastering chain — the limiter/maximizer — it's appropriate to talk about a topic often overlooked by many people learning to master: Automation. In this new installment of our article series dedicated to mastering at home, we will delve into the world of mid-side processing. In this tenth episode, we will tackle an effect that is seldom used by people starting out in mastering, namely, reverb.